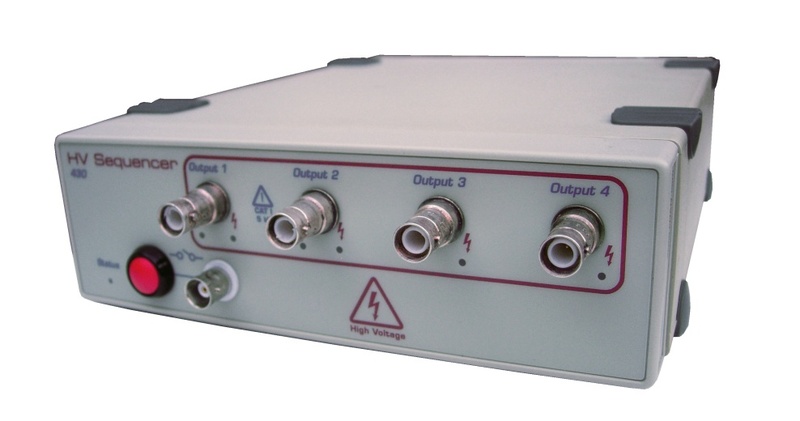 The ER430 is a high voltage power supply with four channels designed specifically for microchip electrophoresis. It can also be used as a voltage source for electrokinetic chromatography and micro reactors/mixers based on electro-osmotic flow (EOF) pumping. Monitoring of voltage and current is provided on each of the four high voltage output terminals to quickly identify any problems caused by bubbles and channel blockages. Feedback control of output voltage provides for accurate and stable operating conditions. Programmable logic outputs on the rear panel can be used to control external devices. A safety interlock feature ensures the unit can only be armed by conscious action of the user. 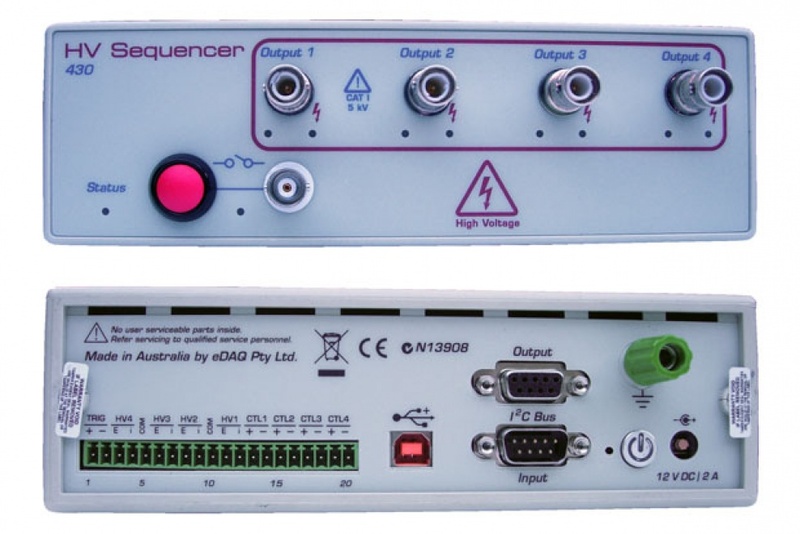 It includes the easy-to-use QuadSequencer™ software to create sequences of voltages for applying to the microchip. 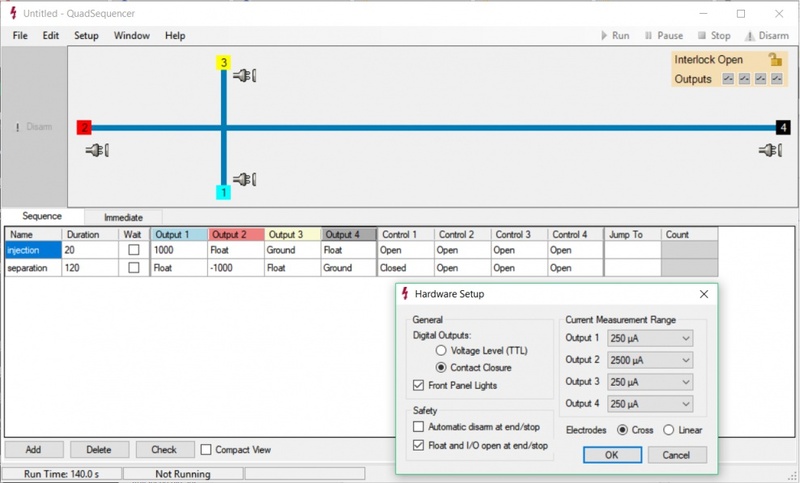 Alternatively, the unit can be operated as a virtual RS232 devices using a serial protocol over a USB connection with custom written software or using packages such as LabVIEW, Connect, WinWedge or HyperTerminal. 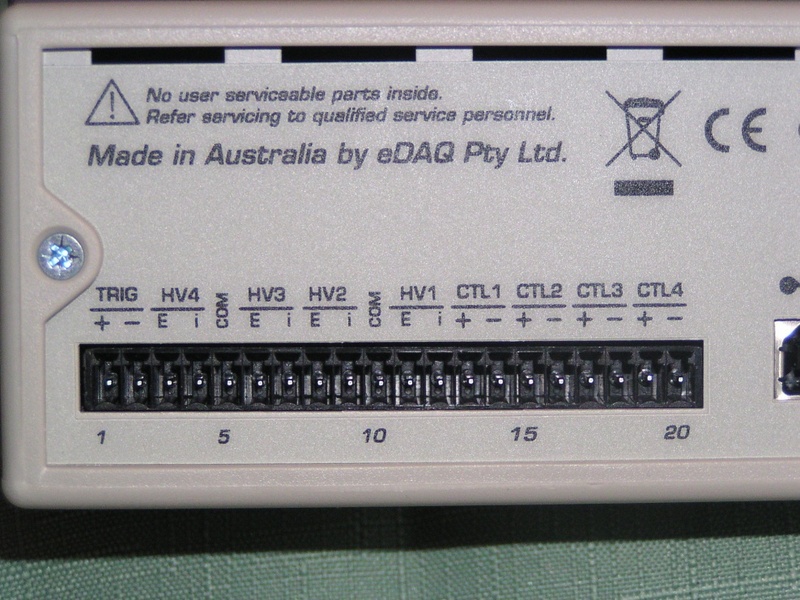 Connects to the ET225 Micronit Chip Electrophoresis Platform . Researchers using their own microfluidic chips will need to order the EC230 High Voltage Cables. 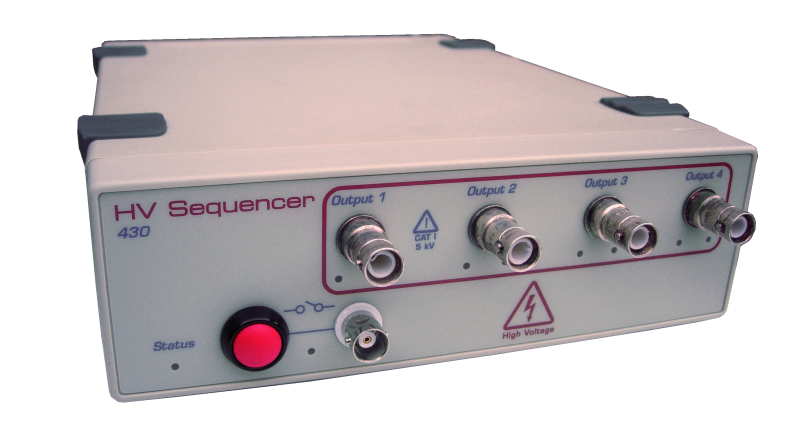 The sequencer may be powered by a 12V battery (allowing it to be used in the field) or via its 110-240V AC supply in the lab.